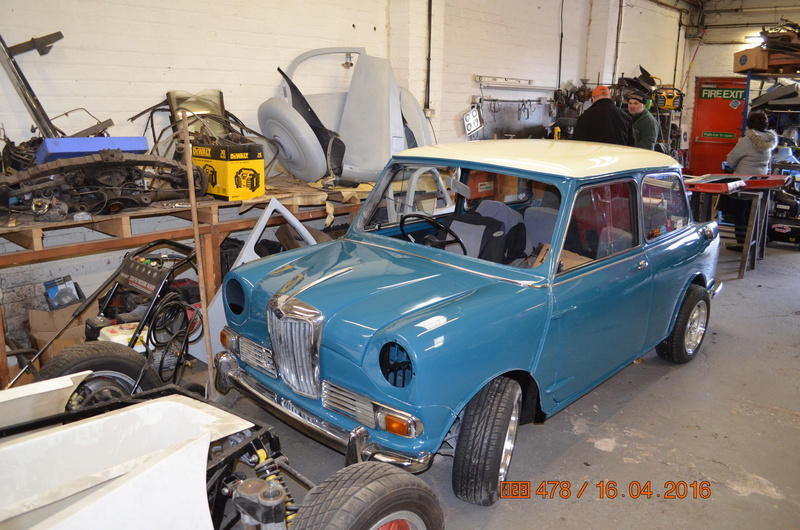 I realise its been sometime since I last gave anyone an update on the progress of "Elfie" my 1966 MK2 Riley Elf. I removed the car from Severn Classics back in June after he ruined my dreams. I am in the process of trying to recover some of my hard earned money that he wasted. If anyone can help it would be much appreciated and according to the companies website the company has been "dissolved" but the website, facebook and twitter pages are still live. 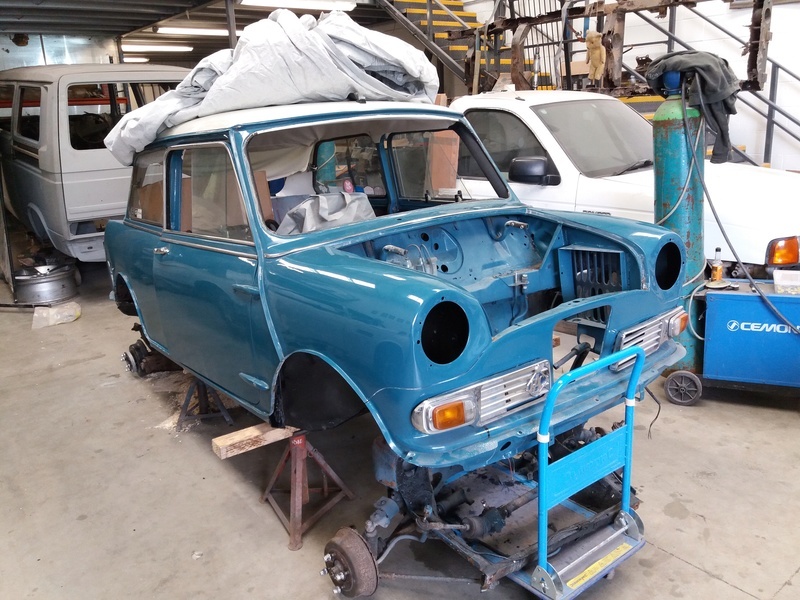 The car is now in Hampshire with a new company "Old Bones Fabrications" and they discovered all the bad workmanship and more. On the mechanical side the engine is now ready to be re assembled to the gearbox and ancillaries refitted etc. 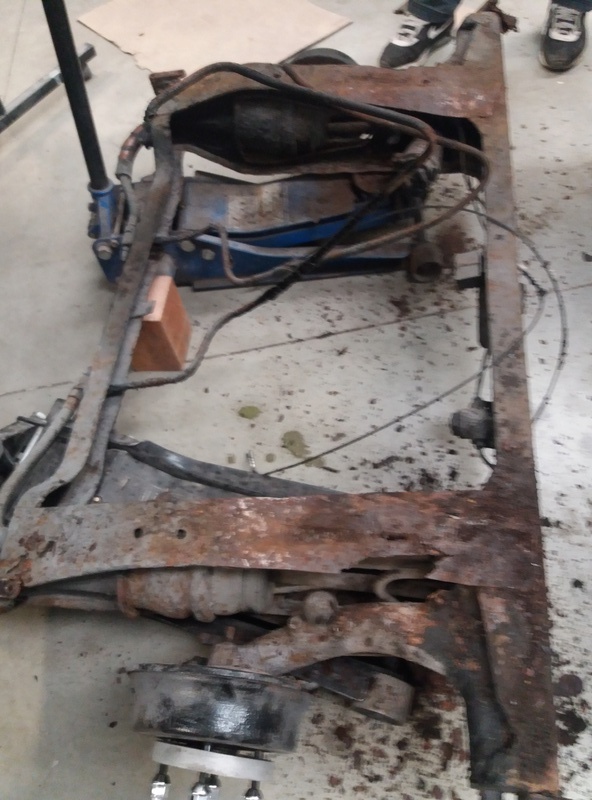 The front subframe will be shot blasted and powder coated and there is a new rear subframe. The Hydrolastic pipes, brake and fuel lines will be all new as all the brake and suspension components. 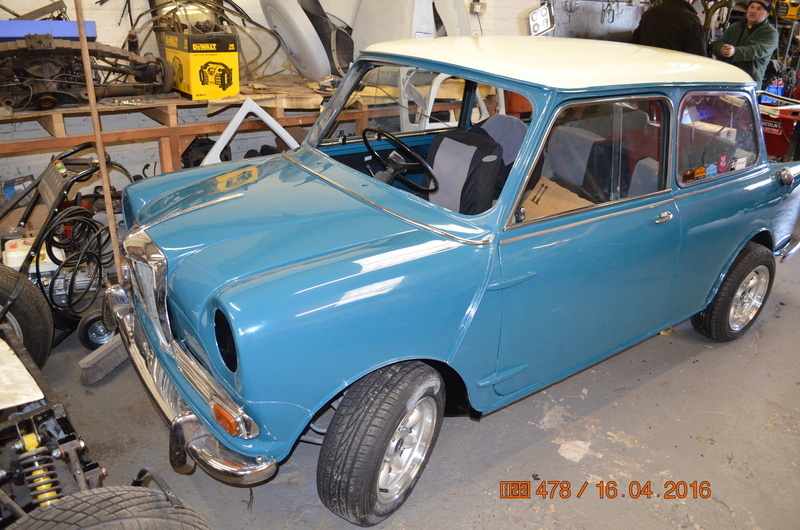 The boot floor and wheel arches will be replaced as these are to rotten to repair. These are a couple of the latest pictures. Needless to say there is still a lot to do to get Elfie ready for next years season.